$100 OFF Any Tree Service of $1,000 or More! Tree removal coupon valid at Alfaro's Tree Expert in Germantown MD. One coupon per customer. With Valpak® coupon only. Coupon void if altered. Expires 05/02/2019. $50 OFF Any Tree Service of $500 or More! Removing & cutting trees, especially large trees, could be a dangerous task. Let the pros handle all your tree removal needs. We specialize in the removal of your unwanted and unhealthy trees, stumps and surface roots. We use modern up to date processes and safety equipment to get the job done professionally and safely, every time. Call us today for a FREE quote! 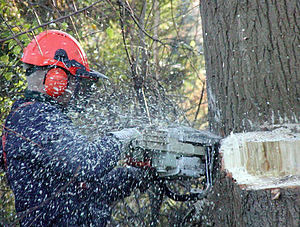 Tree Cutting, Stump Grinding, Tree Trimming, Wood Removal, Land Clean Up, Firewood. Stone Work, Retaining Walls, Walkways, Concrete, Mulching, Edging, Planting, Grading, Fences.